You’ve decided you’re going to Disney! Yay!!! How exciting! Especially if it’s your first trip. 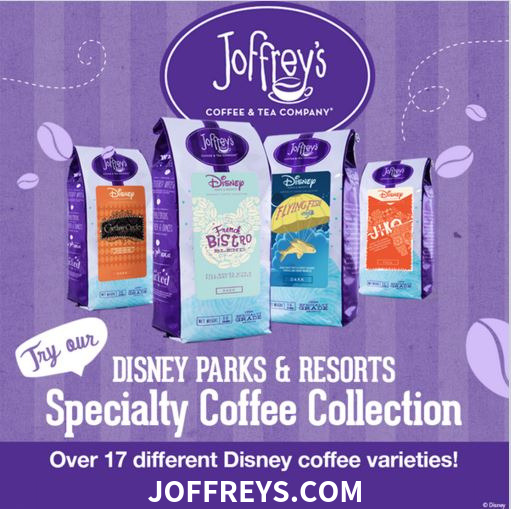 In this series, I’m walking you through the 1, 2, 3’s of planning your Disney trip. 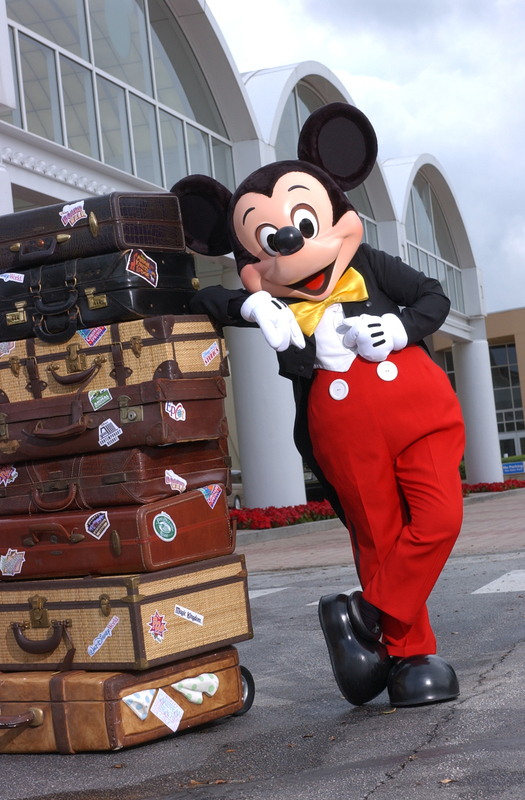 Steps 1 and 2 walked you through deciding whether or not to use a travel agent and when to travel to Walt Disney World. Step 3 addressed making the decision of staying on property or off. So, now that you’ve tackled those decisions, it’s time to make another big decision about your trip: Choosing where to stay. Now, open your eyes. 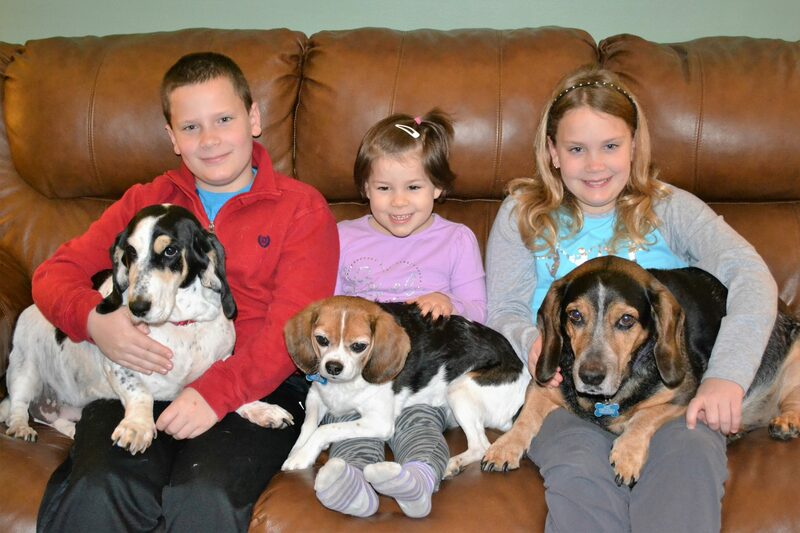 Smile – you’re going to Disney!!! Come on – let’s go through the 1, 2, 3’s of planning your Disney trip together. Now that you’ve made a decision as to whether you’re staying on property or off (and remember this all depends on your own family’s needs), let’s take a look at your options. 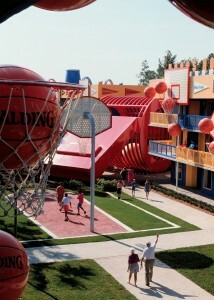 Orlando offers many options with wonderful accommodations. If you’ve decided to stay off property, here is a helpful website for additional information regarding Orlando-area accommodations. If you’ve decided to stay on property at one of the Disney resorts, it’s time to decide which one. Disney offers three categories of on-property resorts – Deluxe, Moderate, and Value – so I’ve separated Step 4 into three separate parts. In Part 3, we’ll take a look at the value resorts and what they have to offer. Disney’s value resorts have dedicated bus transportation. They are also the most heavily themed of the resorts. 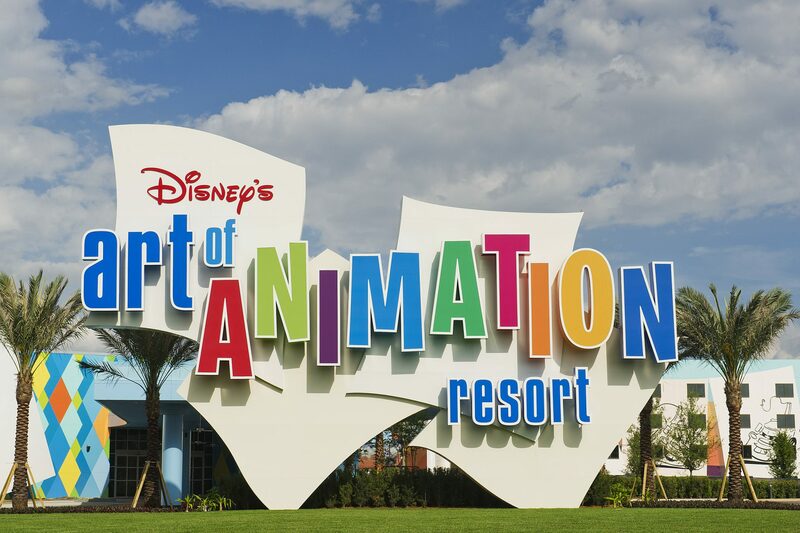 Disney’s Art of Animation Resort is the newest value property, consisting primarily of family suites, that immerses guests into the magical worlds of classic Disney and Pixar films. 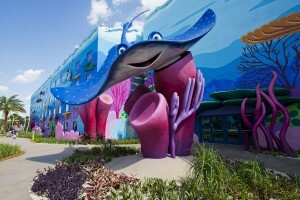 Art of Animation is divided into various themed sections to such Disney movies as Finding Nemo, Cars, The Little Mermaid, and The Lion King. This resort offers family suites, as well as the Big Blue Pool where you can enjoy underwater music and zero-entry. In addition, there are additional pools – the Cars pool, which features complimentary cozy cone cabanas, and the Little Mermaid pool which is usually less busy than the other pools. 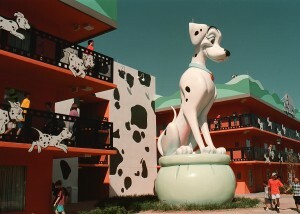 The All-Star Movies Resort is divided into five film-inspired theme areas – Fantasia, Toy Story, 101 Dalmations, Mighty Ducks, and The Love Bug. Each room has either 2 double beds or one king-sized bed, the latter being handicap accessible, and guests with special needs are given first priority for these rooms. This resort offers a main pool, Fantasia, located between the Fantasia buildings and Cinema Hall. Between the Mighty Ducks buildings, you will find the Duck Pond pool. Note that there are no slides or hot tubs at either of these pools. The All-Star Sports Resort is all about sports and divided into five sports themes: football, tennis, baseball, basketball, and surfing. Each room has either 2 double beds or one king-sized bed, the latter being handicap accessible, and guests with special needs are given first priority for these rooms. This resort offers two pools themed to surfing and baseball. The main pool is Surfboard Bay pool and is located behind the Stadium Hall. The quiet pool on property is the Grand Slam pool and is located in front of the Home Run hotel portion of the resort. Note that there are no slides or hot tubs at either of these pools. 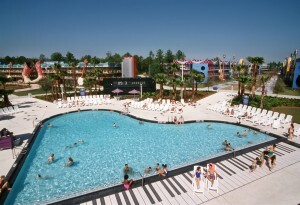 The All-Star Music Resort is divided into five music themes – Country, Broadway, Jazz, Rock, and Calypso. Here, each room has either 2 double beds or one king-sized bed, the latter being handicap accessible, and guests with special needs are given first priority for these rooms. In addition, this resort also offers family suites, which are two rooms that can accommodate up to six guests and boast a master bedroom with a queen bed. The main sitting area has a sofa that opens into a double bed and a chair with ottoman that converts into two single beds. It also includes a kitchenette with a small refrigerator, microwave, sink, and coffeemaker. There are also two full bathrooms. The main pool at this resort is the Calypso pool, which is the largest pool of all the value resorts. The second pool at this resort is the Piano pool. 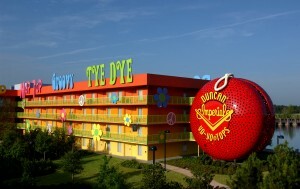 The Pop Century Resort is themed to for the 1950’s through 1990’s with each section representing a different decade. Here, each room has either 2 double beds or one king-sized bed, the latter being handicap accessible, and guests with special needs are given first priority for these rooms. There are tree pools at this resort, the largest being the Hippie Dippie pool. The Computer pool is located in the 90’s area, and the Bowling pool in the 50’s area. Open your eyes. Smile – you’re going to Disney!!! Now, one step at a time, let’s continue planning your trip. 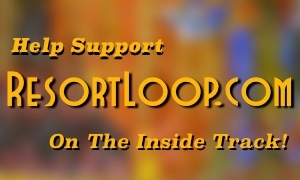 PreviousResortLoop.com Episode 321 – People Mover Travel!!! NextResortLoop.com Episode 322 – Stay Longer Or Better Dining? 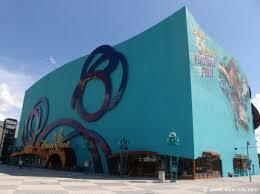 Travelling to Walt Disney World From The U.K.
DisneyQuest’s Place in History: Failure or Inspiration?